Bijou Singapore is an iconic mixed development situated along Pasir Panjang Road Singapore, District 05. This stunning mixed development has been designed with its every detail for the contiguous lifestyle and retail space. An exceptional freehold development proudly developed by award winning developer Far Eastwho bring the finest when it comes to finesse and quality. Identify by clarity and accuracy of lines, this development is a captivating home for extraordinary lifestyle advantages. Furthermore, this development is precisely designed for those who intent to own a residence with an eye-catching features in simple luxury and cozy experience. At Bijou @ Pasir Panjang, indulge yourself with a place that has all the luxurious glamour of an elegant sanctuary, with all the comfort of central location. The opportunities to work nearer to your home with greater approach to recreational facilities and green spaces, Bijou tempts future residents to share in the refinement of an idyllic lifestyle. To revel the ambience of the magnificent outdoor, the appeal of Bijou is definitely not to be missed with the allure of nature spots like Kent Ridge Park or West Coast Parks for activities like jogging, cycling and picnic. Future residents can drive down to the adjoining VivoCity, Universal Studio and Resorts World Sentosa for some dining, entertainment and shopping hotspots. It is also near to the outstanding Keppel Bay which offers exceptional marina lifestyle and the world best-known Integrated Resorts at Sentosa. Bijou @ Pasir Panjang is well connected to the different part of Singapore via expressways like Central Expressway (CTE), Ayer Rajah Expressway (AYE) and West Coast Highway. 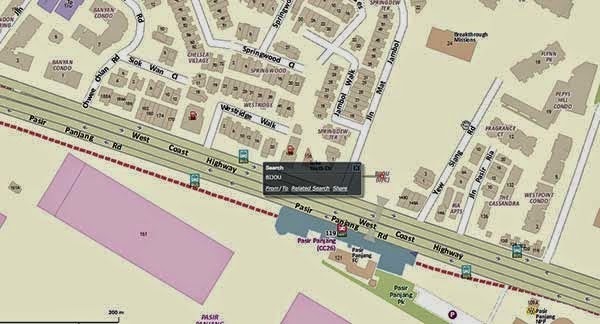 It is also located just next to the Pasir Panjang MRT Station for well access to the rest of the island. To find out more info on the Rising Projects, visit New Launch Mummy.